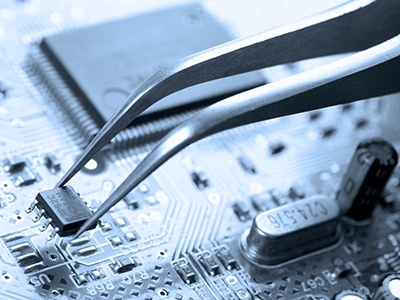 Are you considering outsourcing your printed circuit board assembly (PCBA)? Perhaps you want to free up more time to focus on designing, marketing and selling your products? If so, you're probably looking for an electronics manufacturing services (EMS) provider, who can take care of this manufacturing operation for you. However, we would ask: are you sure? Or rather: do you really only want to go that far along the outsourcing path? PCBA is generally accepted as the safest entry point when outsourcing electronics manufacturing. Broadly speaking, the process is well-defined and there are a large number of suppliers that focus specifically on this service. However, as an original equipment manufacturer (OEM), you stand to enjoy far more benefits if you hand over more responsibility to your assembly partner. While this can be a daunting prospect if you are outsourcing for the first time, let's consider the advantages to be gained from going that bit further. The first stage of outsourcing your PCBA is to hand over responsibility to your EMS supplier for obtaining the materials specified on your bill of materials (BOM). As part of this you will, of course, need to verify the quality of your EMS provider's supply chain. Your partner will then work to ensure that the relevant electronic components can be consistently sourced and will liaise with their own suppliers to put into place stocking agreements. You should also check what measures the EMS company has in place to safeguard against faulty and counterfeit materials. So far, so good: by outsourcing your PCB assembly you will free up more time and resources to direct your focus elsewhere. However, the PCBA is just one component within your final product – whether that be a box build, control cabinet or electromechanical assembly. Therefore, you still have a lot of work to do once your EMS partner has delivered the completed boards to you. For one, you will still need to source and purchase any custom or drawn items, plus a range of other materials – while taking steps to verify the supply chain and inspect your purchases. Secondly, you will need to retain several operators to complete the final assembly along with the associated equipment, tools and documentation. While the PCBA may have been tested by your EMS supplier – for example using in-circuit test or flying probe – the final assembly will still need to undergo thorough testing. And finally you remain responsible for shipment. So that's storage, picking, packing, processing and arranging couriers which, when combined with these other steps, still requires a lot of resources and time. This raises the question: how much time has your company really gained? In many ways, outsourcing just the PCBA is no less laborious than outsourcing the entire product. In both cases, you need to go through a lengthy process to ensure you choose the right partner, who can produce the quality products you require, when you require them – and to your customers' expectations. Therefore, it makes sense to outsource your manufacturing in its entirety, rather than just one element. Clearly this requires a larger degree of trust, but the resulting benefits should not be underestimated. The extent to which you decide to outsource can also have a significant impact on your choice of EMS provider. As many suppliers focus solely on PCB assembly you could end up unintentionally narrowing your potential list of partners by focusing your search purely around this service. Further down the line, this could become problematic. For example, if, later on, you decide that you want to outsource more of your manufacturing, test and outbound logistics, you have one of two options: working with two EMS suppliers simultaneously; or changing supplier. Neither of these is ideal. The first means having to cultivate two relationships and the second means effectively starting your outsourcing journey from the beginning. So if you do decide to dip your toe into the outsourcing waters by starting with just PCBA we advise you to take into account the bigger picture when researching potential partners. You need to be confident that they will be able to support your immediate requirements as well as those that might arise in the future.